Jerusalem - Security forces in Israel have stopped what would have been mass attack on Israeli citizens from Hamas via the intricate tunnel system during the Jewish New Year (Rosh Hashanah) in September. First Reported by Maariv, Prime Minister Benjamin Netanyahu informed his cabinet on July 24 about the plot to send thousands of Hamas-linked terrorists into Israel on September 24. The IDF learned of the planned attack while interrogating Hamas prisoners. Hamas had planned to send 200 terrorists from a tunnel at a time, through dozens of tunnels in the intricate underground system. The terrorist organization planned to send militants across six western Negev towns and kidnap and kill dozens of Israelis. Security forces stated it’s possible that many tunnel openings were in the heart of communities. 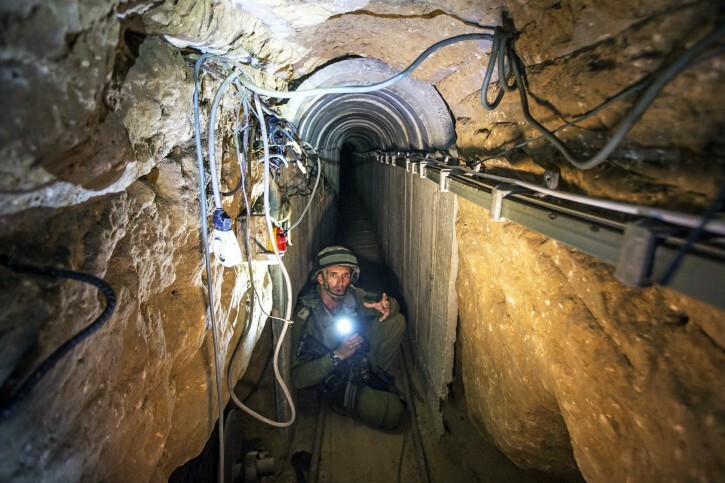 Security sources stressed that if the government wants to eliminate the problem of the tunnels, the IDF needs more time. i24news.tv reports that Netanyahu told officials if the attack hadn’t been uncovered, Israeli fatalities could have been higher than the 2,200 deaths that occurred during the 1973 Yom Kippur War. Recently a dozen retired U.S. generals and admirals traveled to Israel during a trip sponsored by Jewish Institute for National Security Affairs (JINSA). During the trip, the group toured a tunnel from Gaza discovered near an Israeli kindergarten. 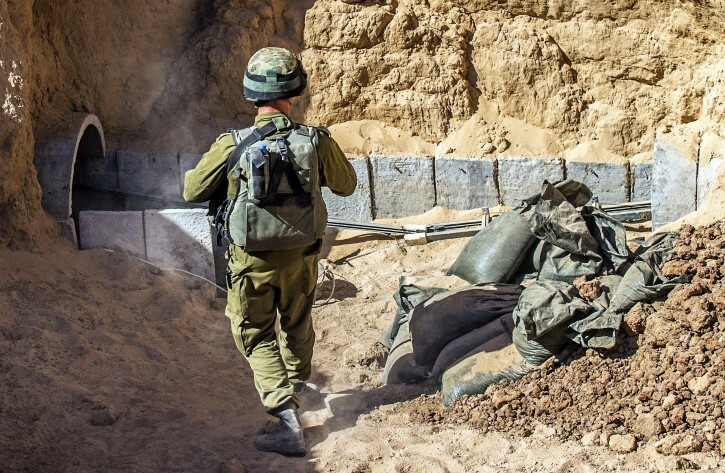 “Unlike tunnels that I had seen during the Iraq war that were designed for smuggling, this Hamas tunnel was designed for launching murder and kidnapping raids. The 3-mile-long tunnel was reinforced with concrete, lined with telephone wires, and included cabins unnecessary for infiltration operations but useful for holding hostages,” Gen. James T. Conway, USMC (ret.) described in the Wall Street Journal. Now we can see some piece if the puzzle why the 3 murdered kudos him Hy"d had to be taken, to set off this whole scenarios which resulted in this war. Had Isreal not gone in to Gaza just when it did, to destroy the tunnels, they would not have discovered the plot to kill so many Jews c"v on Rosh Hashana ! Baruch HaShem ! is turning a blind eye to this !!! "Security sources stressed that if the government wants to eliminate the problem of the tunnels, the IDF needs more time." And yet Israel is agreeing to suicidal ceasefires that allow the enemy to regroup and reload and at best to stretch out this war us much as possible, at worst to make it unwinnable. Idiot. The government knew they were digging tunnels. They have equipment that detects it. Better that Bibi acted like a man and destroyed them and not have to use the boys as an excuse. i would think less of the Israeli security services if they did not know about the tunnels. I suppose they tracked each and every one as it was being built. Why use the word "idiot"? The point you made had nothing to do with #1 and you shouldn't call people bad names. So Jews in Israel should come armed to the teeth to shul and also station massive armed presence around shuls. Tks for playing G-d to the rest of us.